Built in 1937, the Nordenmark Residence has gone through several facelifts over the last 20 years that have detracted from the original design intent, asymmetry and proportion. 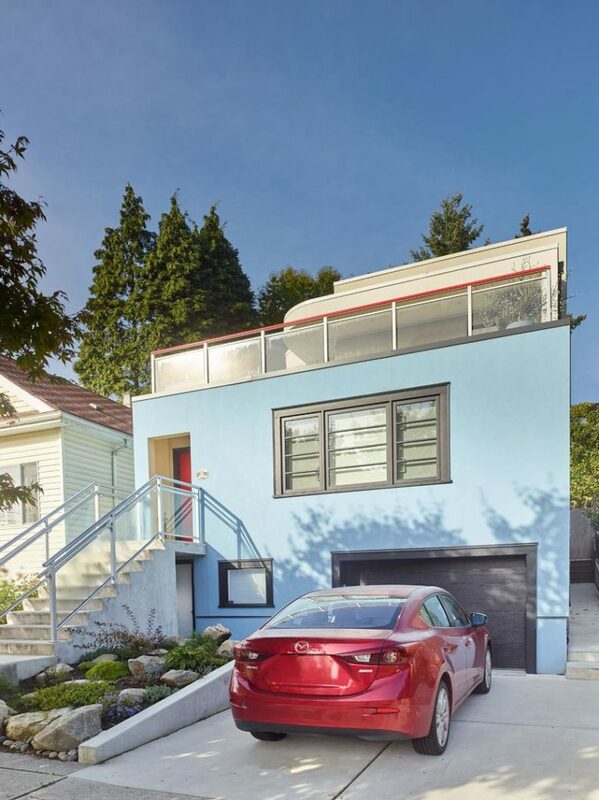 It is one of the few surviving Moderne style homes, which is rare in residential design, from the late 1930’s and early 1940’s in New Westminster. 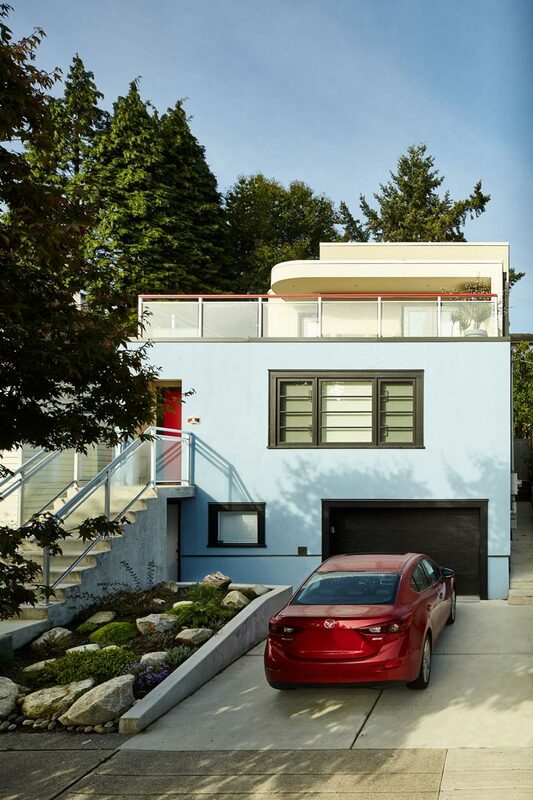 Our objective was not only to restore the home to its original design, but also to create an addition that is in keeping with the Moderne style and accommodates a more functional layout for the home-owners’ family’s growing needs and modern living. The transformation began by reverting the ‘mission style’ parapet back to a flat, straight roofline, constructing a second-story addition set back from the front of the house, and creating a new ground level entrance. Retaining the recessed front entrance and asymmetrical plan, the rehabilitation process restored existing and missing original architectural features. In May 2018, the Board of Directors of Heritage BC awarded D3 Design for Heritage Conservation in recognition of The Nordenmark Residence.